Apple has yet again pulled a popular app from the official App Store after complaints from some powerful people. 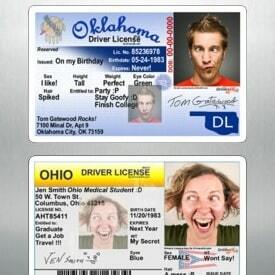 This time the app in question was called “Drivers License” and it was essentially used to create fake drivers license photos using templates from all 50 states. The app did not make any physical licenses and it was meant simply as a fun toy to play around with but many legislators felt that it was too risky to allow. Because of this Apple began to face pressure from lawmakers about removing the app. Never was the legality of it questioned, law makers simply encouraged Apple to do what they thought was best. In the end Apple did in fact remove the app as it is now no longer available in the app store.